Happy Wednesday Friends! 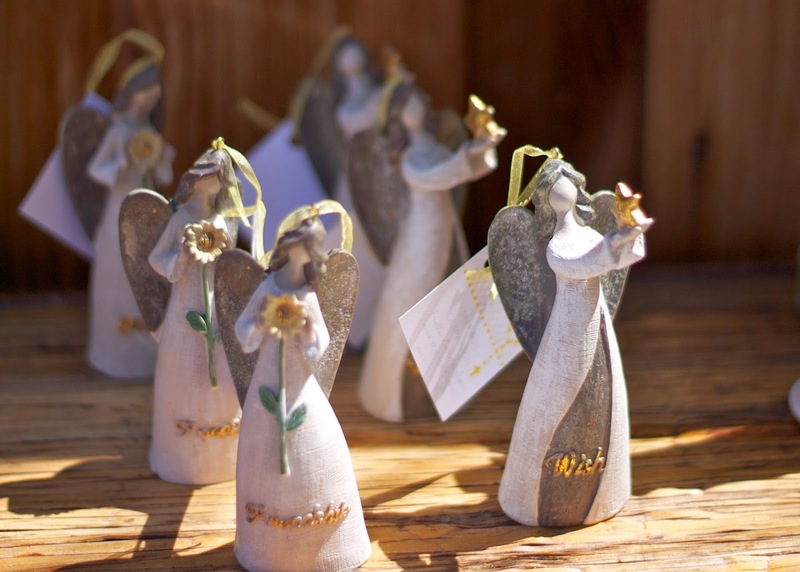 Today I bring you something other than fashion courtesy of my talented sister and her talented best friend Beba from MKR Creations who decorated my niece's First Communion Party. After my niece Brielle's First Communion church ceremony, my sister hosted an intimate luncheon for close family and friends. 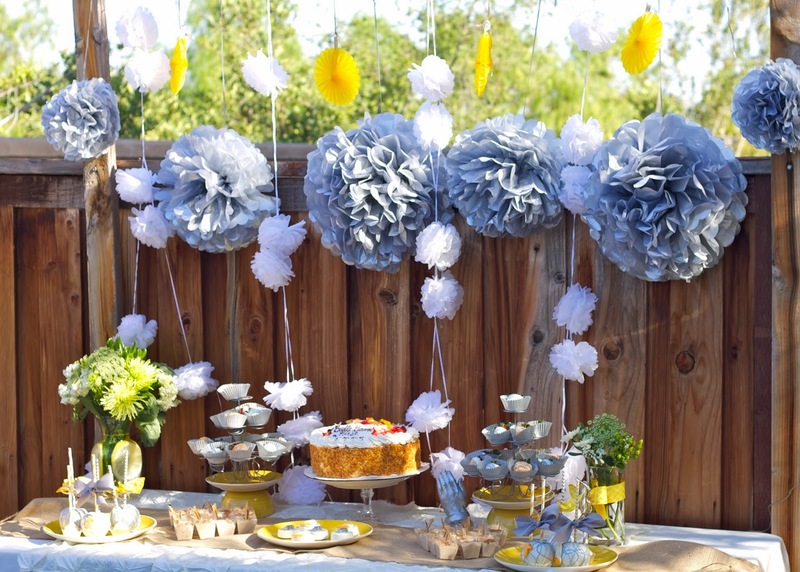 The theme was a chic combination of yellow, gray and white with touches of burlap. Here are some pictures I took of the beautiful decor. 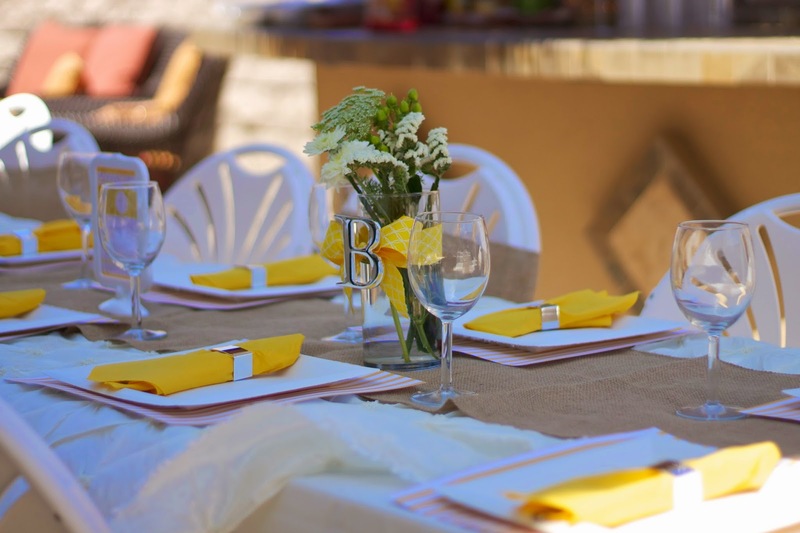 The burlap table runner and burlap chair ties jazzed up the table. 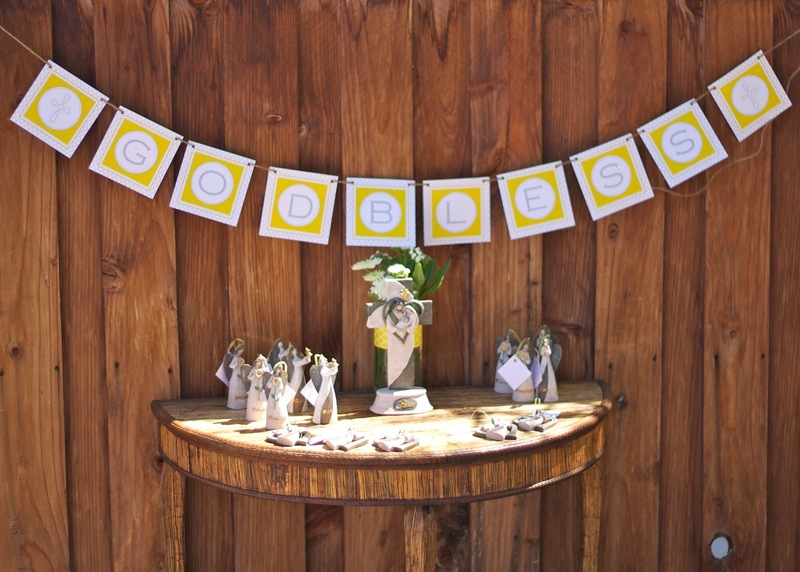 MKR Creations created the printed favors in the theme, one that showed a prayer by my niece. Chocolate covered strawberries, oreos, cake pops and decorated apples, oh my! My sister was inspired by Pinterest for the lemon in the vase look (below) and she personalized the vases with the 'B' for Brielle. 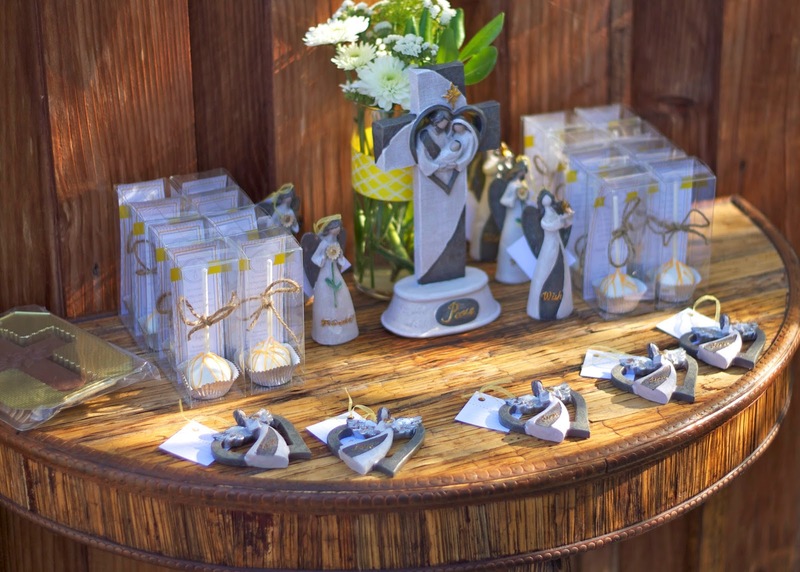 The party favor side table with parting gifts for guests. 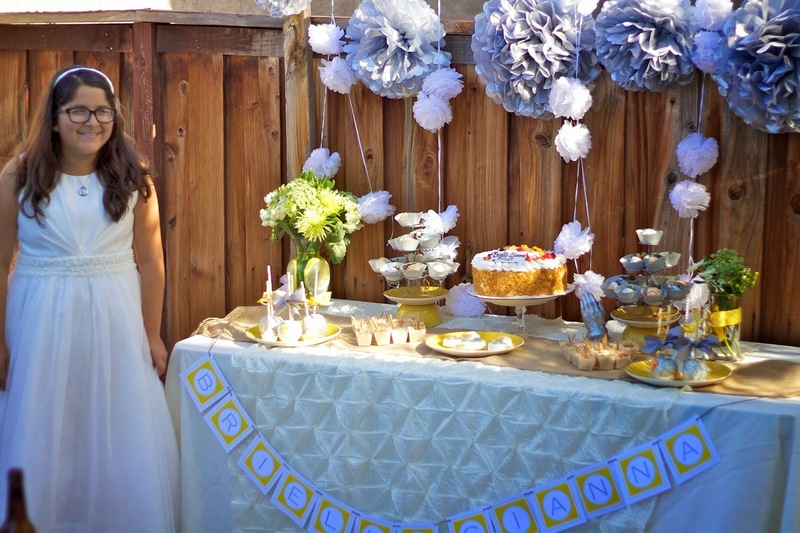 Make sure to check out MKR Creations' blog for more party inspiration as well as a look into their services! Check my sister out on Instagram here (especially as she plans my bridal shower- wua ha ha- totally caught her off guard here). Pictures by me (I really enjoy being behind the camera!) Hope you enjoyed this party decor tid bit! Oh wow, this looks absolutely beautiful! Wow! Everything is so beautiful Pau. It's beautiful, so much attention to details. 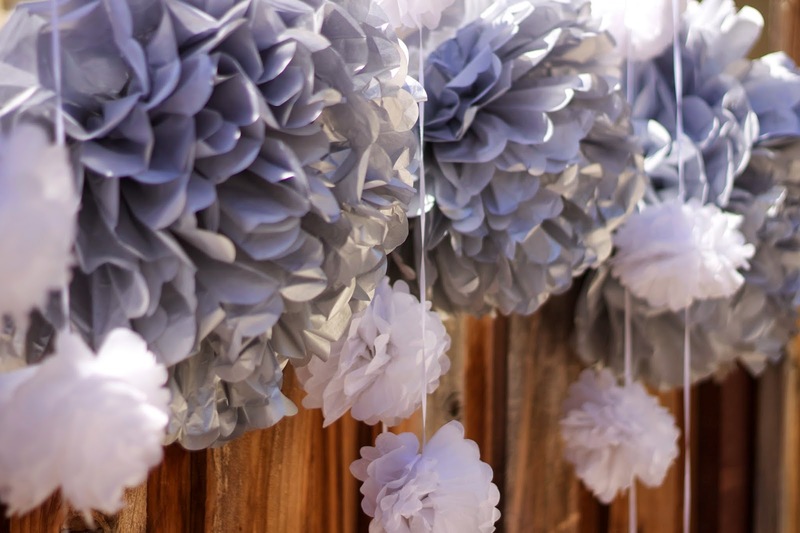 I love the paper flowers, especially the over-sized grey ones. So very pretty...I love it all.